Marco Bruzzano is the Vice President of Distribution Operations for DTE Energy (NYSE:DTE), a Detroit- based diversified energy company involved in the development and management of energy-related businesses and services nationwide. Its operating units include an electric utility serving 2.2 million customers in Southeastern Michigan and a natural gas utility serving 1.3 million customers in Michigan. 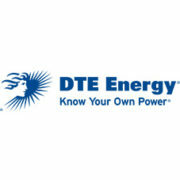 The DTE Energy portfolio includes non-utility energy businesses focused on power and industrial projects, natural gas pipelines, gathering and storage, and energy marketing and trading. As one of Michigan’s leading corporate citizens, DTE Energy is a force for growth and prosperity in the 450 Michigan communities it serves in a variety of ways, including philanthropy, volunteerism and economic progress. In his role, Bruzzano is focused on the company’s multi-year effort to improve electric system reliability while reducing costs to keep energy affordable. Bruzzano is directly responsible for overseeing the company’s engineering and planning functions, and driving improvements in asset management and work management processes. His work includes identifying technology to help Distribution Operations provide the best possible service to its customers. Prior to his current role, he was Vice President of Corporate Strategy for DTE Energy, supporting a broad range of efforts, including operational performance improvement in electric distribution, investment strategy development for power generation, electric market structure analysis and M&A opportunity evaluation. Bruzzano also led DTE’s cost and operational benchmarking programs and the development of long-term commodity market forecasts. Prior to joining DTE in 2008, Bruzzano worked broadly across the energy industry for nearly 20 years, including extensive periods as a management consultant with McKinsey and Booz Allen Hamilton. During this time, he advised global energy companies, electric utilities and power producers on strategy, operations and organizational effectiveness. Bruzzano earned an MBA with distinction from Duke University, where he was a Fuqua Scholar and a Rollins Scholar. He also earned a bachelor of science degree, with honors, and a master’s degree in Mechanical Engineering from Georgia Tech. Bruzzano serves on the boards of Endeavor Detroit and NextEnergy.